February 2016 - A Life From Scratch. It finally seems like we can stop making pencil marks on the wall. It’s certainly been a bit of an endurance battle dealing with the wonky mood swings of the growth spurt grouches. Low and behold, I’m finally getting a few more smiles at the dinner table and things seem a little more equalized. After writing that piece a couple of weeks back, I really started noticing the gears grinding away in their little brains, trying to once again find their sense of self, three inches later. As the boys continue to grow mentally and start to figure things out on their own, it definitely seems more important than ever to make sure that M and I are conscious about teaching them about concepts that will help them grow into some fine, respectable young adults (but not too fast please.) 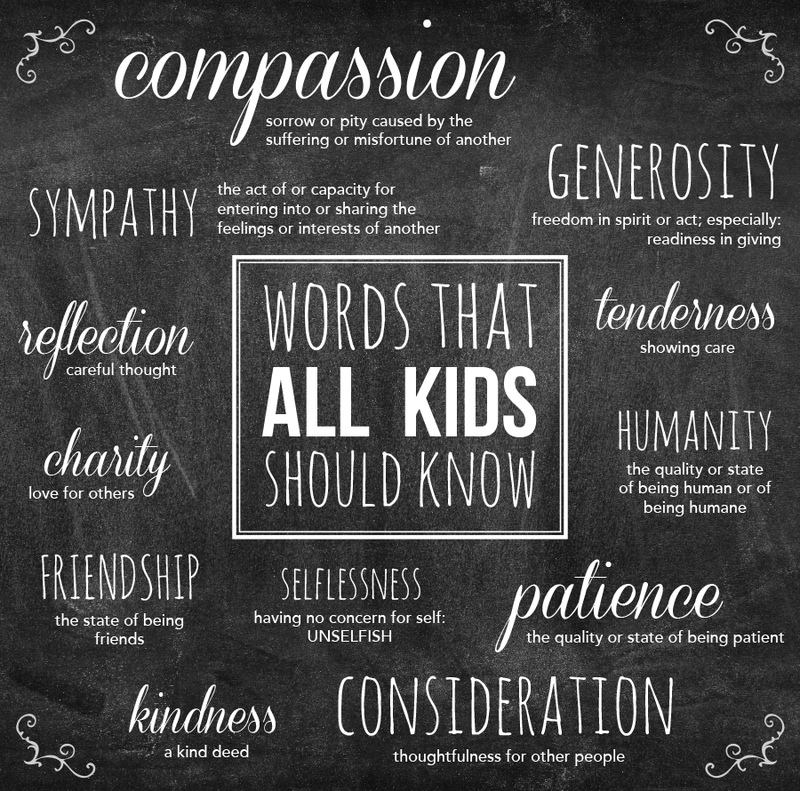 I’ve put together a little infographic that includes words that I feel every kid should know. Tantrums and timeouts aside, L + B are pretty awesome little guys. Even if it’s making sure that the daddy longlegs from the kitchen window gets outside safe and un-smushed, it’s amazing how thoughtful and considerate they can be on their own free will. Just the other week, I was at a friend’s for lunch and her daughter (completely unprovoked) helped clear the dishes and wiped down the table! Where did these wonder children come from?! We’ve all been bombarded with the phrase: ‘actions speak louder than words’, but it is especially relevant in this case. Teaching the boys about generosity and compassion has definitely been done mostly by walking the walk and making sure to demonstrate these values in front of them. On the flipside, I’ll admit that it’s taken a bit of self-discipline to not lose my cool from time to time (um, we all have those days those days), but I’ve been making the extra effort to explain to them if I do lose my cool, why. It also teaches them mom isn’t perfect which is a good lesson. This type of respect is a form of consideration that a lot of people mistake for animosity and can go a long way in teaching these concepts, even if you’re disagreeing with someone. With all their toys and other goodies from Santa over the holidays, L + B certainly had their fair share of huffing and puffing over who plays with what. I think it’s just natural to have that competitive edge – especially with boys – but there’s definitely a balance between feeling that their needs come first and sort of naturally having a capacity for sympathy. I can think back to when my little ones literally sobbed when their legos were smashed or threw a huge fuss over the idea of having to share something with friends. While it might have been sort of incredibly annoying at the time, it’s definitely a good sign that they know what it feels like to care about someone (or something) really early on. A really awesome way to demonstrate these concepts is to get together some old clothes and toys that have been gathering dust in storage and bring the kids along on a trip to the nearest Goodwill or Salvation Army. As you may imagine, the aforementioned growth spurt has made it next to impossible to keep a dresser full of clothes that actually fit, so we threw some old ones in a pile and filled some bags. I talked to them about the idea of helping others in need, the concepts of humanity and charity, and it was amazing to see the positive energy that they had throughout the day knowing that someone else is going to benefit from their actions. It seems these days we live in a society that craves instant gratification. Slowly but surely, it seems like kids want things much more often and they want them now! I covered this a bit in the post about finances and the kids a little while back, but it’s super important to stress how much patience and responsibility play a huge role in their young lives. I’m sure that part of this lack of patience in a lot of young kids has to do with all the video games and their shortened attention spans. I’m not saying that we should take the games away because let’s face it, we all deserve a little time to unwind and get our minds off things. I try to limit these things and let them play as a reward for doing good deeds or chores around the house. This way, they learn that you may have to wait for a bit to get things that you want in life. I also really feel that learning patience will also help them as they get older when it comes to keeping it together during stressful or tough situations. We all know, life doesn’t get any easier. I know that sometimes it’s hard to say “no” to those little faces, but I try to use a solid balance of reinforcement and discipline. This also helps with reflecting about their behavior and learning responsibility. If their best bud calls and wants a play date, be sure that they clean up any mess that may have been left behind beforehand. I have found that the more that I enforce the rules, the more likely it is that they will start to get into a routine of doing these things without being asked. A huge win! Teaching our kids these important life lessons day in and day out sure isn’t easy. But what part of parenting is? Here’s to raising kind kids by leading by example the absolute best we can. C’s Picks – week of 2/28. You guys. We did it! This is the last day of the dreaded month of February – YIPPEE! That means we are (hopefully) in the final stretch here. Give me all the 50 degree days, we’re loving it. A fun line up this week, some new some old. Can’t wait to get cooking! 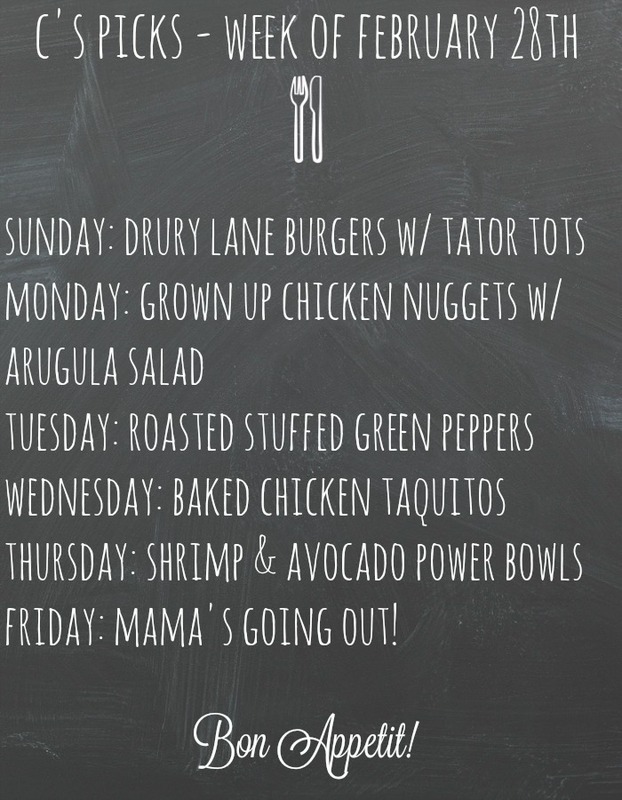 I so hope this helps you plan out your kitchen line up for the week. Let’s do this. Sunday night let’s get some burgers going on the grill. These Drury Lane chicken burgers are full of some pretty good stuff: bacon, sharp cheddar, apples. Yum. Tator tots and grilled veggies on the side. Monday let’s go with a win for the whole family: grown up chicken nuggets. Love that we can all sit down to the same platter. Huge bonus that the arugula and chunked up tomatoes are so pretty! Roasted and baked stuffed green peppers are another great family dinner. I keep it healthy with lean ground beef, and may sneak in an additional veggie or two. These are good. That brings us to Wednesday and to a new recipe I can’t wait to try. Buffalo chicken taquitos! Because if it’s buffalo chicken, it’s pretty much a sure fire win. Thursday night M and L fly away to Arizona for the Cubs spring training, I’m not sure who is more excited to go – the little one or the big one. I’ll miss them so much but I’ll get to munch away on anything I want. And that would be these shrimp & avocado power bowls. Oh my goodness. And it’s Friday. Ahhhhh. B gets to head to the grandparent for a fun sleepover and I have a night out with some old and dear friends. Can’t wait! What do you think – anything sound good? I sure hope so. Happy cooking! A quick run to the grocery store somehow always ends up taking much longer than anticipated when kids come along, am I right? With a small list in hand, you set out as a super smart shopper, planning out which aisles to hit first. The next thing you know, thirty minutes have gone by, and various boxes of chips and fruit rollups have managed to sneak their way into the cart. We all know this scenario all too well. What happened to the days when there were only a select few snacks that were on the top of kids’ minds? Now, it seems like there are literally hundreds of varieties of basically the same thing and they all do the same thing: fill up small tummies before actual meals are served. Appetites definitely change and get more diverse as we get older, but it’s pretty crazy to think how simple and…well… unhealthy basic habits can take hold early on. Let’s face it; completely removing sugar-loaded foods from our kids’ diets is not realistic, at all. However, there are many foods out there that our kids may actually eat that are complete nutritional powerhouses compared to their sugary counterparts. Mealtime doesn’t (always) have to be a battlefield when trying to get them to eat what is prepared. Check out some of these ideas, I so hope they can help crack the picky eating code with your kids! One big reason that kids start to get really picky is because they start to get used to eating the same things every day. Admittedly, it’s pretty easy to get caught up into a routine when cooking breakfast in the before school rush. Whether it’s bowls of cereal or French toast, it’s really important to try introducing new foods alongside what they usually eat. Being the first meal of the day (i.e. they generally should be hungry), breakfast is a great place to start switching things up. Sneak some oatmeal or fresh fruit next to their bowl of cereal to make things a little bit more interesting. There are few things easier on the eyes than a nice fruit ‘n yogurt parfait. Try presenting it in something that will be appealing to kids’ eyes, like a sundae dish. Add some fresh oats and plain, low-fat yogurt mixed in with their favorite berries. The grains will give them some long lasting energy and can provide that extra boost they need to get through the long day at school! 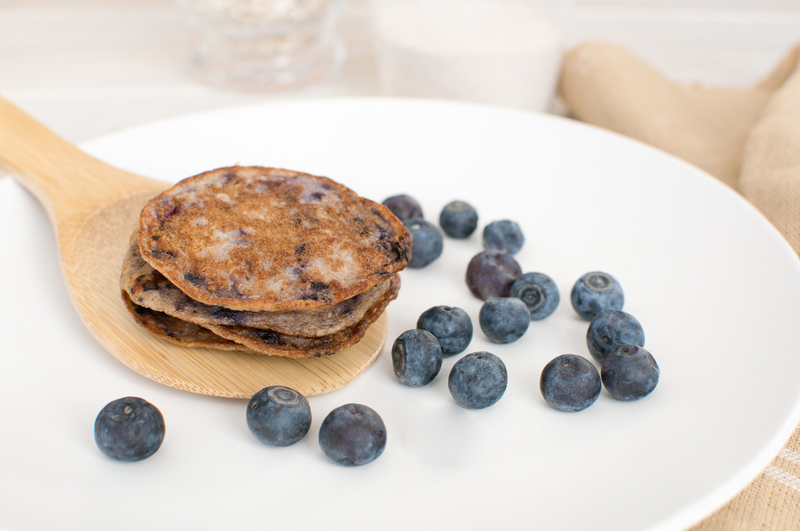 This may cause a bit of a fuss at first, but if you can pull it off, try switching out regular flour with whole-wheat flour when making pancakes or biscuits for breakfast. The tricky part about this is that the wheat flapjacks are a bit less sweet and have a texture/color that could turn some kids off but, a drizzle of syrup on top and they should be good to go. As we know, whole-wheat snacks are much more filling than the processed, starchy classic grainy foods so you’ll feel extra satisfied dropping them off for the day with full stomachs. Last but not least, whip up a chocolate shake! Stay with me here. By switching out the thick and gooey chocolate syrup with cocoa powder, you can give the kids a yummy drink in the morning that they will ask for again and again. Blend bananas, frozen berries, honey and the cocoa powder with low-fat milk and enjoy. This may sound crazy and I’m not one to promise a fool proof method for making your kids less picky but I do feel like cutting down on snacking and making sure they stay active often times leans towards them being more, well, flexible at dinner. I feel like the reason that kids may get picky and grumpy at the table is because they’ve already filled up on snacks from the pantry throughout the day and sometimes aren’t hungry when it’s time to eat a family meal. Repeat after me: starve them, then run them, then feed them. While of course nothing is 100%, I’ve found that spreading out meals a bit and making sure that I monitor their snacking makes for a much less picky eater. Instead of allowing free reign over the pantry where the snacks are I try to have bowls of nuts or grapes on the counter for the boys. These options are much better for them than the fruit snacks, pirate booty, and who know what else that seem to fly off the shelves. Fruit Kebab made of Oranges, Strawberries, Grapes, Blackberries, Raspberries. It’s also pretty crazy how simple it is to get the kids to eat healthy things like fruits and veggies if you present them in a fun way. 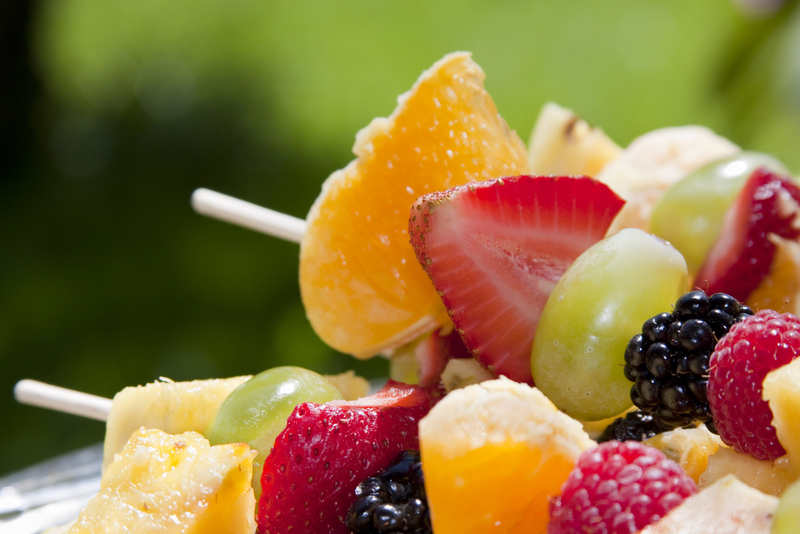 Try making fruit or veggie kebabs on skewers and serve with a small amount of peanut butter for dipping. To die for! Now that they’re tummies are satisfied with healthy minimal snacks, it’s time to tackle the most tedious meal of the day when it comes to picky eaters: dinner. That is, after you run them outside for a few hours. No parent wants to be a short-order cook in the kitchen and make separate meals modifications for everyone is enough to drive you batty. Believe me, I get the frustration. L was the child that would, for years, only eat five things. Luckily, as the boys get older they are willing to try more and more, but we’ve all dealt with the struggles of serving a meal that you spent all day planning and having to pull out the mac n’ cheese because, heaven forbid, they found a spec of onion in their pasta. Now for specific recipes. 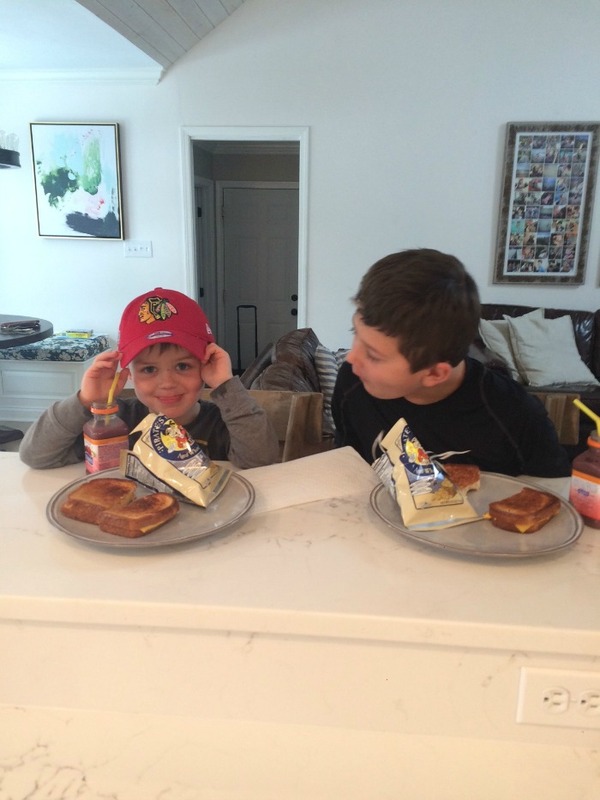 I’m not promising your kids will love these dinner recipes, but, they do work on my boys! I hope at least one (or more!) can work for your family. His & Hers Pizza: This is a great recipe for family dinner. 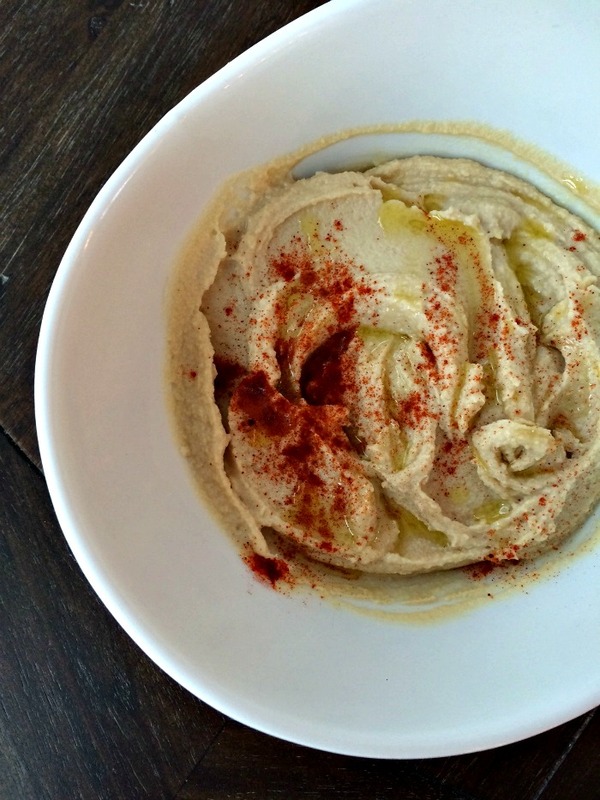 Whole wheat dough for the win, and you can customize things accordingly. The current fav for the boys is pepperoni + green peppers. Lasagna Roll Ups: Another customizable recipe. Glantz boy Roll Ups: Not necessarily the most traditional dinner but when dad is traveling and mom picked up some grilled salmon and salad at Whole Foods? These are my go to. Grilled Italian Sausage: So basic, but it works. We pair it with fresh cut fruit, veggies, and whole wheat rolls. Easy dinner for everyone! Slow cooker flank steak: This recipe, also known as Ropa Veja, is a huge hit in our home. The boys won’t eat the rice, but they gobble up the steak and even some peppers. Chicken parmesan meatballs: The white chicken keeps these nice and lean and baking instead of a frying is a win! Chicken sausage skillet: There is sausage. There is cheese. There is breadcrumbs. And yes, veggies too! This one is a family fav. Grown up chicken nuggets: These are good. Think any could be a win for your family? I so hope so. When all else fail, keep changing things up. Keep trying. And, as hard as it can be, don’t stress about it all. There are times when a premade smoothie, grilled cheese, and heck even pirate booty are A OK.
Blistered tomatoes over goat cheese polenta. Side dishes can get so annoying can’t they? I’m an addict to the concept of one platter, one dish entertaining simply because side dishes stress me the heck out. I never know what to make and let’s be honest, I want to focus my efforts on the star of the meal. That’s why recipes like polar vortex roast or this oldie but goodie are so amazing. It’s all in my trusty red pot, on the table it goes with side dishes for dummies: AKA a lovely salad and good bread for dipping. It’s a formula that is just too easy. Why stray? Then, ever so once in a while, a side dish will grab my attention and I will get completely inspired. I mean, look at that photo. Heavenly. Arguably, this goat cheese polenta could act as a main vegetarian dish. Absolutely. Yet in my house heaven forbid we don’t eat ALL THE MEAT so it goes perfectly next to a grilled steak, a roast chicken, roast pork…..the options are endless, really. And how pretty it would be all served up on one giant white platter? The colors alone – gorgeous! Something about a blistered up tomato. Or is it just me. Anyway, don’t skip the spinach. Takes about 2 minutes to saute in a bit of olive oil and garlic and really adds to the dish. You can change up the cheese in the polenta as well – feta, parm. The goat did work perfectly though, melting every so creamily into the polenta resulting in a silky smooth consistency. I hope this recipe helped inspire any side dish stress you may suffer from, it definitely won me over! A cheesy polenta topped with blistered tomatoes and fresh spinach with garlic. Preheat the oven to 425. Rub the tomatoes with some olive oil and roast away until nice and browned - roughly 30 minutes or so. Meanwhile, make your polenta according to package directions. When done, stir in the goat cheese and salt until smooth. In a large skillet, add about a TBS olive oil and saute the garlic for a minute or so over lower heat. Add in the spinach to wilt, just another minute or so. 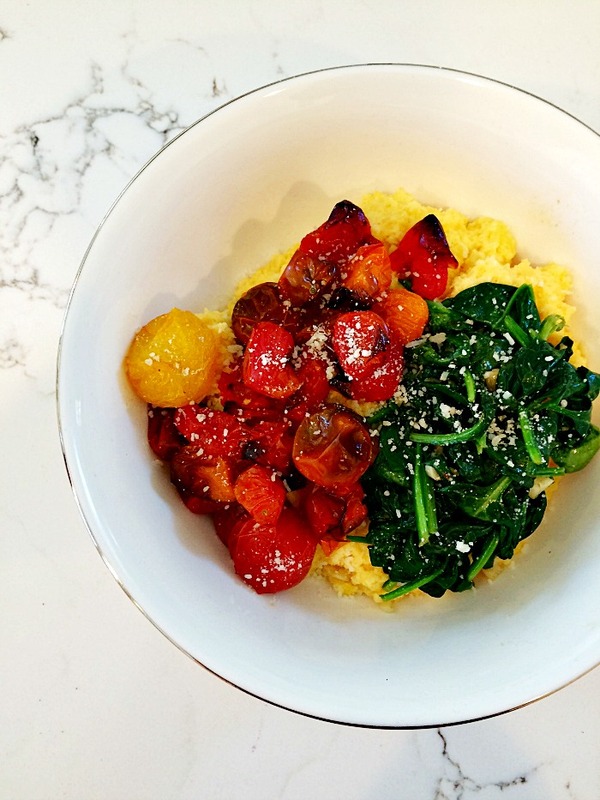 Plate up the polenta and top with the blistered tomatoes and sauteed spinach.